Who wants to have some fun with scissors and glue? 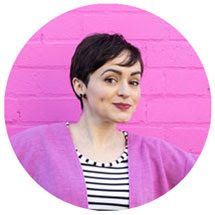 Even if you don't want to make your own sewing patterns from scratch, it can be useful for a stitcher to have some basic pattern cutting techniques up their sleeve (arf! ), in case you want to adapt existing patterns in your stash to create something a little different. So I thought I'd show you how to puff a sleeve. I like a good puff in a sleeve - don't you? 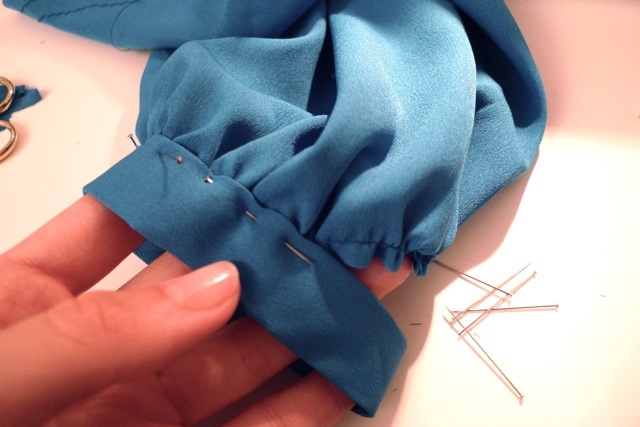 I'm going to show you how to puff out the bottom of the sleeve, like I did for my teal button back blouse - this style is sometimes called a bishop sleeve, although they often have a more exaggerated shape. If you want to add the puff at the top, just apply the same technique upside down to the top of the pattern. 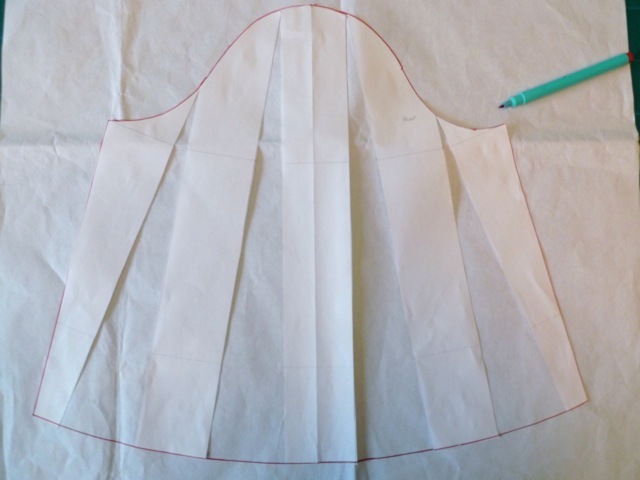 This tutorial will also demonstrate - and hopefully demystify - the "slash n spread" technique, one of the basics of pattern cutting that is useful and easy to pick up. 1. 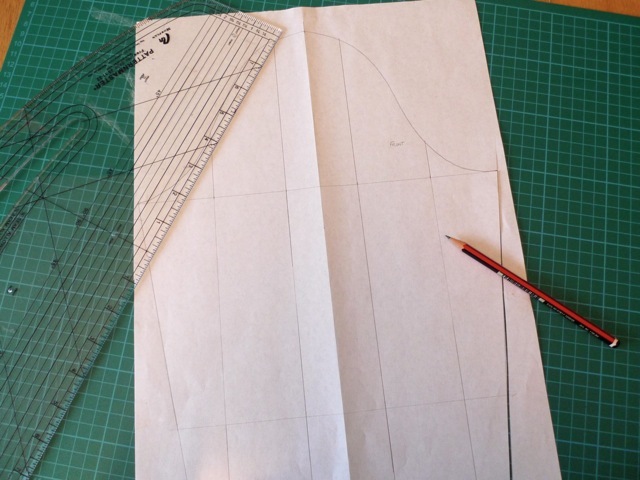 Trace the sleeve pattern off onto a new sheet of paper, marking in the shoulder point, grain line and any notches. (NB. You are tracing the stitching line, not the cutting line, which we will mark in later.) The sleeve can be as long or as short as you like - I've ended mine a couple of inches below the elbow. Draw vertical lines up the pattern, dividing it into equal sections (I've done five). 3. Place the pattern on a new piece of paper, fanning out the pieces to the width you want. This is the "spreading" bit. Glue, tape or pin the pieces down. 4. 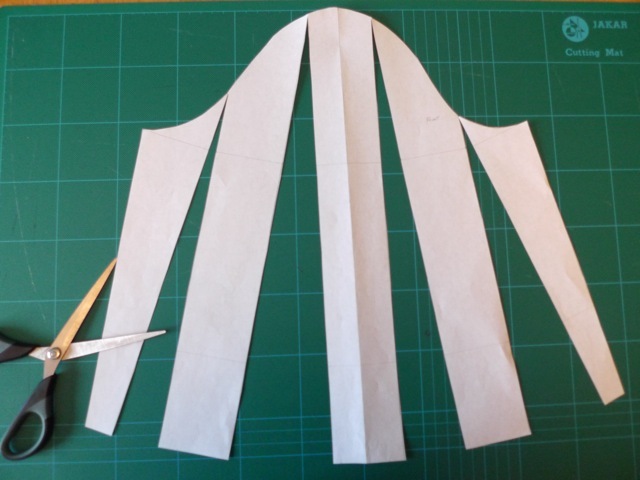 Draw around the new shape, smoothing the crown and hem into a curved line and squaring the corners off so they're right angles (so the seams will match when you sew them together). You can either retrace the new shape onto a fresh piece of paper or just peel off the spread pieces if they're not stuck down too hard. 5. 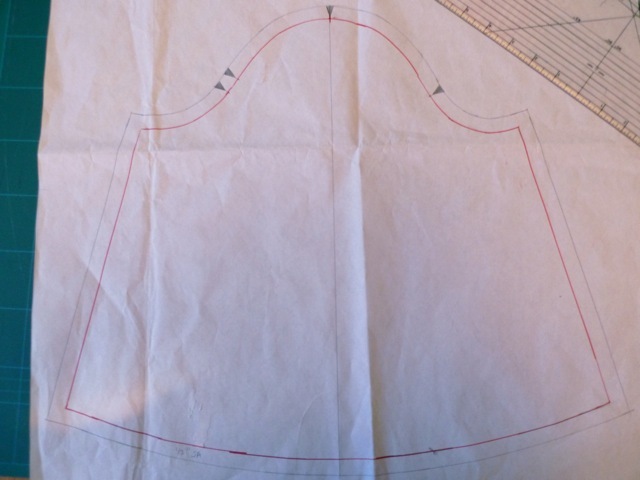 Add seam allowances and mark the shoulder point, notches and grainline. If you've left the extra ease in at the crown, your notches will have moved, so you need to mark them in the right place to help you set the sleeve into the armhole correctly when it comes to sewing. 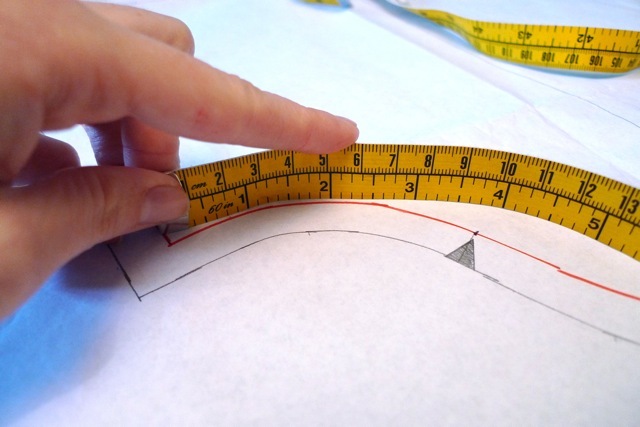 Measure the position of the notches on the original pattern piece from the armhole upwards - you can measure a curve by standing your tape measure on its side - and transfer these to the new pattern. 6. 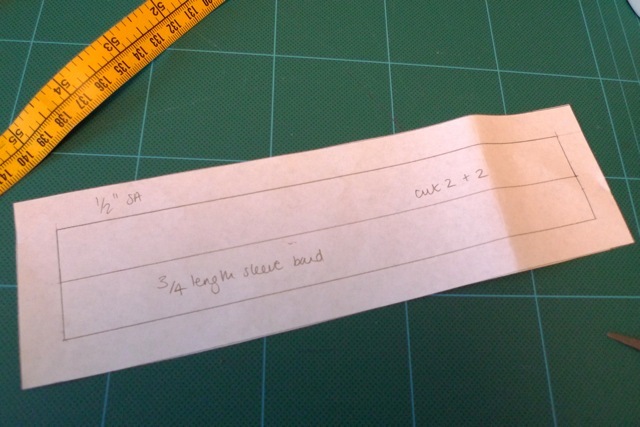 To make the cuff band, measure the circumference of your arm at the point where the sleeve will end and add 1.5cm ease. If you're making a 3/4 length sleeve, I've found that it's a good idea to measure a little further up your forearm than you want the cuff to lie so you can pull your sleeve up a little if you have a habit of doing that (I know I do). On a new piece of paper, draw a horizontal line to this length. Turn it into a rectangle with the vertical line to the width you want the band to be. Draw a second box adjoined underneath for the inside of the band. Add seam allowances round the edge. That's it for the pattern play! Interface the band before sewing, and use gather stitch to set the sleeves into the bands as you would with any other gathered piece. Hope this was useful! 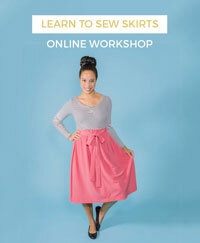 If you follow this tutorial, I'd love to know if the instructions were clear (particularly for pattern playing beginners) and I'd love to see what you make!